The Deputy Governor of the Central Bank of Nigeria, CBN, Aishah Ahmad, has cautioned politicians against too much spending as 2019 elections approaches. She said the anticipated spending for the 2019 election may increase inflation rate in the country. 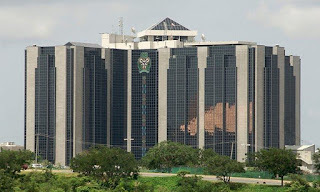 Ahmad made the disclosure during CBN’s April monetary policy committee meeting in Abuja. The Deputy CBN Governor also urged those in authority to urgently pass the 2018 budget because it will boost investment and economic output across Nigeria. “This in itself would obviously call for a proactive and cautious monetary policy response to ensure there is no upward pressure on inflation. Thus, I would encourage quick passage of the 2018 appropriation bill by the national assembly, to keep fiscal policy on track, boost investment, employment and economic output for the benefit of the citizenry. “It is my opinion that monetary policy considerations at this time should prioritize reduction in the general price level, exchange rate stability, and sustaining the fragile economic growth.